What's equity got to do with health in a higher-density city? More and more of us living in denser cities where apartments and high-rise developments are increasingly common. This creates specific health concerns for residents of these areas, and for lower-income households in particular. We already know socioeconomic status is closely related to health and wellbeing. The importance of equity was highlighted in the 2016 Boyer Lectures. Entitled Fair Australia: Social Justice and the Health Gap, the lectures were delivered by a world leader in health inequality research, Professor Sir Michael Marmot. Marmot examined the challenges for poor communities in achieving good health from early life to old age. His message focused on the social determinants of health. And the built environment, including its environmental context, is among the most important of these. This is usefully presented in the below health map for human settlements. Many urban planners are working with health professionals to create a built environment that promotes good health for diverse populations. An ever-increasing body of research and practice evidence is available to support this work. We know that the neighbourhoods where people live, together with their workplaces and the transport systems that link them, are fundamentally important for health and wellbeing. We also recognise that the obstacles to health and wellbeing are greater for lower-income groups. For instance, those who live further from good city infrastructure and services, typically poorer communities, face greater challenges to stay healthy. Long car-based commutes are also tiring and often stressful. Arriving home exhausted takes away from quality time with family and friends, as well as the energy needed to prepare nutritious meals. These are all negatives for maintaining good physical and mental health. Denser cities are seen as the antidote to these problems – and with density comes high-rise and apartment living. So, the question then is: how does a higher-density built environment affect our health? The first thing to consider is the location of high-rise development. Siting high-rise residential blocks along busy and polluted roads is problematic for health. When poorer communities are located in areas of lesser amenity due to lower housing costs, this exacerbates their health problems. While the initial cost of home ownership might be lower for the individuals, the longer-term impost on the health budget, associated with respiratory disease, needs to be factored into the equation. Another critical concern is building design and construction. Poor design and building standards can mean adjoining apartment dwellers are affected by noise from their neighbours. This can result in sleep deprivation, stress, and anxiety (and in extreme cases, neighbour conflict and violence). These are all risk factors for mental health problems, as well as being implicated in poor physical health. For example, sleep deprivation is linked to obesity, which is a risk factor for many chronic diseases. garden spaces may be contracted out, denying residents the benefits of growing and harvesting their own food. There is no shortage of evidence to show just how important access to quality green open space is for health and wellbeing. 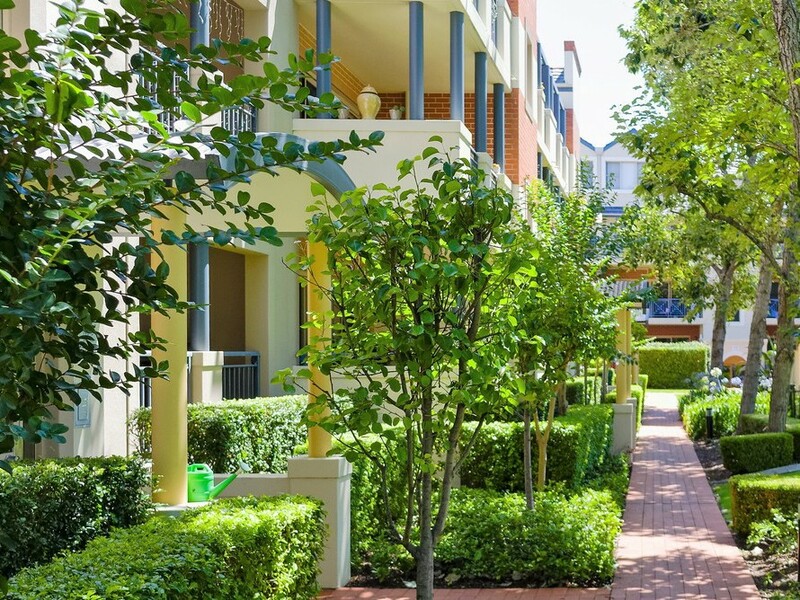 Different types of green space, easily accessible to everyone, no matter what their income, should be a priority in designing high-density residential areas. implications of ageing and the use of public facilities need to be considered – our interviewees spoke of frailties that made it more difficult to be out and about, enjoying physical activity and being socially connected. Study participants living in high-rise apartments were concerned about increasing residential density and loss of amenity. Issues they mentioned included access to sunlight/daylight, privacy and inter/overlooking, and dust and grit affecting their use of balconies. A FAIR GO FOR ALL? This is a good question when it comes to the health and wellbeing of poor communities in high-rise housing. All of the issues mentioned above are potentially challenging for maintaining wellbeing day-to-day. Many are not income-specific, but lower-income groups have less capacity to respond to these challenges. High-density living is increasingly trumpeted as “healthy”. But without supportive infrastructure based on an understanding of specific geographic contexts and community needs, this way of living will pose significant health risks. Blindly pursuing a uniform denser city agenda will only reinforce and exacerbate health inequalities.